There is every reason to feel relieved that a concerted effort seems under way to turn around the Titanic called Pakistan and prevent it from staying on a course to self-destruction on the iceberg of intolerance, bigotry and militancy. At long last, the current military leadership decided that the path its predecessors chose as a means of securing Pakistan from external threats had in itself come to pose the biggest threat to the country’s continued well-being and, far more perilously, it was on the inside. Your guess is as good as mine as to where would we be without this change of heart (and mind) accompanied by the valour of the men and women in uniform and the enormous sacrifices these proud children have given for the sake of the motherland. This is not counting the thousands of civilians who have perished as the terrorists have tried to satisfy their bloodlust. These forces of darkness can’t be dismissed lightly. They are fighting an existential fight too. Yes, one can begin to hope a faint hope. But, I am sure, you must be tired of being reminded in these columns time and again that the one thing we cannot afford to do is to let our guard down for a moment or let the foot off the accelerator pedal. There are signs that the forces long patronised by the state for its illusive national security goals are not prepared to just sit back and be dumped. They will engage in a vicious fight-back of the kind that any jilted lover would take pride in. Take a look at how disparate religious groups belonging to such diverse schools of thought that they felt unable to pray in each other’s mosques are now joining hands on the flimsiest of excuses. Does it matter that so far they have not been able to identify a single clause of the Punjab Women’s Protection Act as being against religious tenets? No. 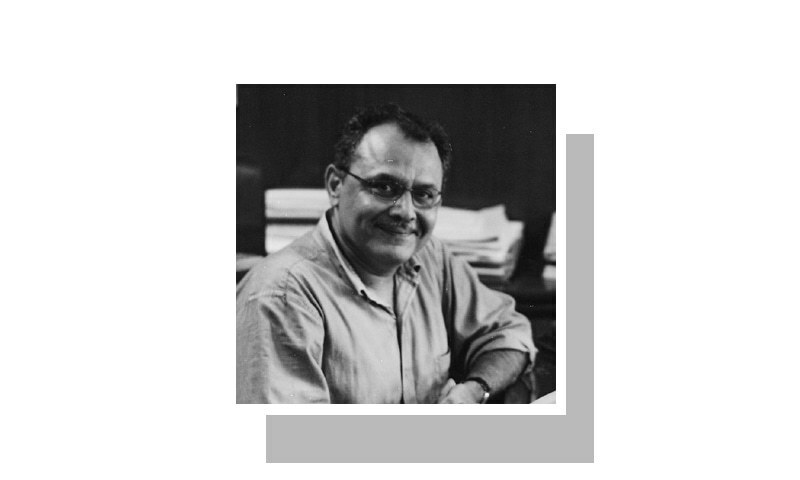 What does matter indeed is the fact that they will all rally against it and call it an attempt to ‘disrupt and destroy’ the institution of the family and say it is against religion, while threatening a 1977-like agitation (the turmoil Gen Zia used as a pretext to topple an elected government). These forces of darkness can’t be dismissed lightly. They are fighting an existential fight too. Unchallenged they have made the pulpit a multi-billion rupee industry. They have no other skill than to peddle their uninformed, obscurantist views as divine will. What else can they do that’ll sustain the lifestyle they have become accustomed to. The feudal is rightly slammed for many of our ills. But try and observe some of the leading lights of our clergy and you’ll reach the conclusion that their latest model gleaming armour-plated SUVs and large retinues can give any feudal a run for his money in terms of decadence. And they will fight to retain their status. Wouldn’t you? I have just watched a video clip of a maulvi who, to the adulatory grunts and ‘oohs’ and ‘aahs’ of the congregation, narrated a story that he attributed to a guard at Rawalpindi’s Adiala prison where Salmaan Taseer’s recently executed murderer Mumtaz Qadri was imprisoned for several years. Another worrying photograph showed six uniformed members of Punjab Police Elite Squad with ‘No Fear’ emblazoned in white across the back of their black uniform T-shirts sitting with heads bowed at their former colleague Qadri’s graveside. Then in cricket-crazy Pakistan one saw a clip (I am told it was two years old though there is no guarantee of any change in the thinking of the man featured there in the intervening period) where Shahid Afridi is asked his opinion on women’s cricket by a TV reporter. That our progressive cricket board retained a misogynist as captain was a perfect example of how we have all contributed to the drift to madness by either being wilful participants or silent bystanders even when we were in a position to act. Against this rather depressing backdrop two faces, two names, come to mind who represent hope. Punjab legislator Uzma Bukhari is one. I can’t count the number of times this cool-headed yet determined woman has held her own on the women’s protection legislation against almost hysterical, semi-abusive clerics. And with reason: she is among the few who have actually read what the law says. She has repeatedly challenged leading critics of the act to cite clauses they object to and list specific reasons for their objection. But of course she has never received an informed, educated response beyond that it is Western-inspired and will destroy the family, etc, etc. Last but not the least let me mention Sana Mir. The Pakistan women cricket team captain must today be one of the proudest Pakistanis bringing credit to the country and being a totally irresistible role model to many of its girls. On or off the field her dignity and poise are truly inspirational. She is an amazing athlete and leader and can attain anything she sets her eyes on. Mostly because she has her feet planted firmly on the ground. Whenever she speaks she fills the space with optimism. It is the Sana Mirs of Pakistan that will be our salvation. Thank God for them. The girls in green have arrived. Where are the sponsors? God bless all those who are trying to bring positive change to the motherland with their efforts and attitude. Be it the valor of our soldiers or the resolve of our women to stand up to the forces of evil in any form. 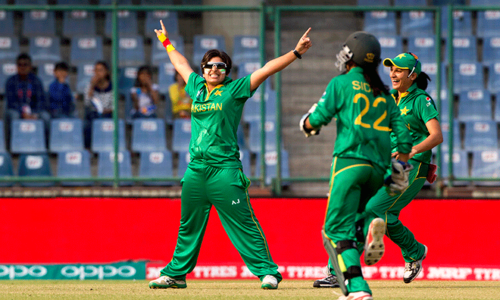 Well done, GirlsInGreen, Pakistan Women Cricket Team! They ought to be provided the support they deserve. Just brilliant and spot on! Bravo!! Brilliant piece. Thank you for putting into words the unspoken perspective of patriot Pakistanis. I'm very impressed with girls in green. They are doing better than boys in green. Afridi and team should be back in Pakistan by now. Dump the mens team. They are useless. Back up the womens team. I am pleased to see the success Pak women cricket has achieved. The problem is the success may not last for long, but the mindset of the people you describe will not wither away. In fact they are getting stronger and stronger. Many do not or cannot distinguish between facts and fiction. But I like your views and the style of writing. "At long last, the current military leadership decided that the path its predecessors chose as a means of securing Pakistan from external threats had in itself come to pose the biggest threat to the country’s continued well-being" What a perfect statement. I'm sure many of you know what path the author is talking about. It's the women who will save Pakistan. I absolutely and completely agree with you. Excellent - we pray and hope the best for our sisters. The Pak women's team fielding is far more purposeful and professional than their men's team. Sana Mir is the Imran Khan of Pakistan's women cricket. Her way of leadership, her words, poise, just perfect! Is it possible, that Sana Mirs lead Afridi eleven in next cricket tournament? A very truthful article. Yes Pakistan has to turn around, easily said than done. But this is a battle for the survival of this country. Pakistan cannot afford to loose.